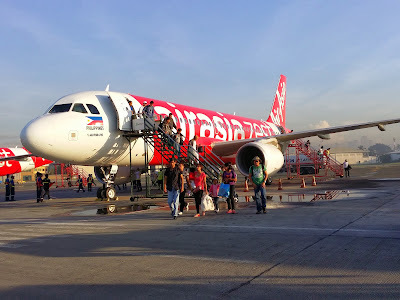 We were awoken by our hotel courtesy wake- up call at 3:30 AM and left what we called home for the past 4 nights and made our way to Cebu International airport. The flight to Manila was a little over an hour. We debarked the plane via stairs instead of the Jetway like we are accustomed to. This made it a bit tricky for my heavy carry-on(s). Airport security was a short 2 man gig with one working machine. We didn't have to take off our shoes or remove our laptops from the case. Once in the airport terminal, we grabbed a quick sio bao and shu mai for an “on the go” light breakfast to fulfill our stomach. 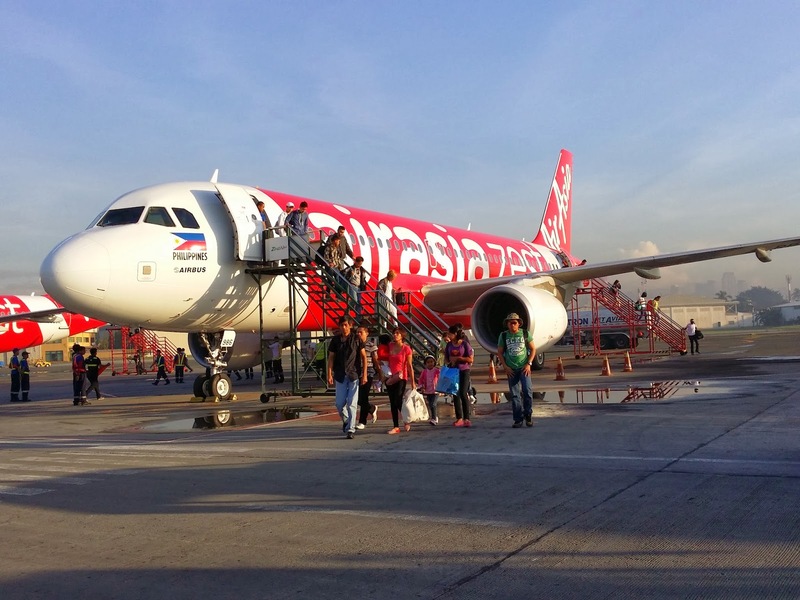 The flight to Kalibo was a short 45 minute air travel. We got our luggage and we found the Island Express staff member holding a white board with our names on it for the ongoing travel to Boracay. The airport transfer to the shuttle was supposed to be 45 minutes but it closer an hour and a half. The ride was scenic as we passed through coastal towns with beautiful views of hills, cliffs and the ocean. Falling power lines and palm trees made it evident that this area was affected by typhoon Yolanda. A couple times, I thought our aggressive bus driver was going to hit walking pedestrians and trikes as constantly accelerated the gas and slammed his breaks throughout the journey. Once we arrived at Caticlan and Cagban jetty port, we paid our fees: environmental fee and terminal fee. We boarded a small bangkas, a small mototorized outrigger boat along with other tourists. Our luggage was placed on the roof compartment of the boat. The short journey took less than 15 minutes and we arrived at Boracay island in no time. The aggressive porters waiting for us at the island quickly boarded our boat and removed our baggage. They held our baggage hostage and wouldn’t give it back to us without a mandatory tip. I thought that was bad business practices in poor reflection of our transfer company. I’m all for voluntarily tipping porters but in this case, it was outright forceful. We herded into non AC enclosed “jeepneys” and it was hot and stuffed. I thought I was going to pass out until I was able to get my window open. On top of all that, my luggage had to be the one to fall of the roof rack onto the street. Luckily, only my aerosol hairspray and toothpaste got crushed. I’m grateful one of the passengers noticed, otherwise I would be without any luggage. On our transfer, we befriended a nice Singaporean Chinese couple, Jasmine and Sky which we hung out with during part of our stay in Boracay. They were younger than us but we clicked right away. To my surprise, there was no direct entry from the road to the Spider House Resort on Diniwid Beach. We were greeted by staff members that helped us with our luggage through the beach path, over stairs and into the cliff cove that led us to the actual entrance to the Spider House resort. Our “Superior” room had an amazing panoramic picturesque view of the beachfront and the ocean. I think this is the coolest non-traditional hotel we have stayed at. The “rustic-chic” room was open aired with a separate sleeping area, an extra bed and a lounge area. The bathroom was also open with a beautiful mirror adorned with seashells. We went from having separate tubs and showers in the last 3 hotels to not having a real shower at all. It was your typical Southeast Asian shower with no curtains or doors and only a hand held shower head. We settled in and immediately had our welcome drink of choice, Pina Colada for me and San Miguel beer for the Mo and joined our new friends for lunch. We were too exhausted to venture out so we stayed at the resort. The Mo and I shared fried calamari, prawn masala and chicken adobo. Everything was great although I was hoping the chicken adobo was more traditional with bones and skins instead of the chicken breast that was used. Upon arrival at check-in, we were advised that due to the typhoon, the resort still had no electricity and was operating on a generator only. Power was available only between 5:00 PM and 6:00 AM. Therefore, we had no hot water, no frozen drinks, no internet unless it was during that time slot. The restaurant is also known for their sushi and since they had no constant refrigeration, they didn't serve sushi at all during our stay there. We spent the afternoon swimming in the ocean by the spider house and laying on the bamboo float anchored in the ocean. It was great to unwind and relax.